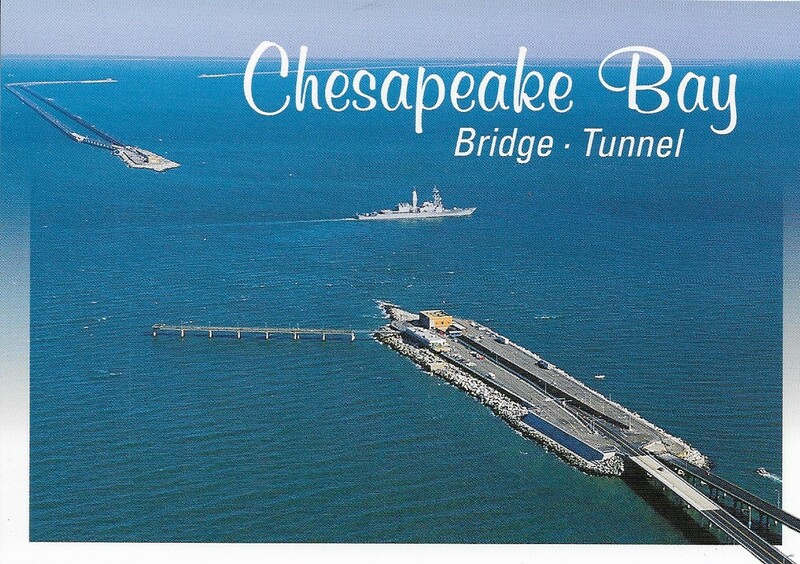 Opening on April 15, 1964, the Chesapeake Bay Bridge-Tunnel won numerous awards as an engineering wonder. 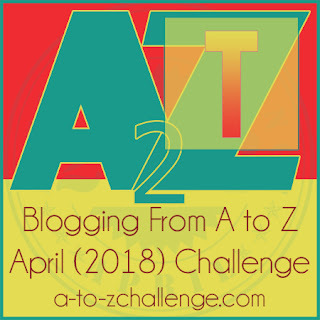 Measuring 17.6 miles from shore to shore, the Bridge-Tunnel consists of more than 12 miles of trestle roadway, two mile-long tunnels, two bridges, four man-made islands, almost two miles of causeway and 5 1/2 miles miles of approach roads for a grand total of 23 miles. 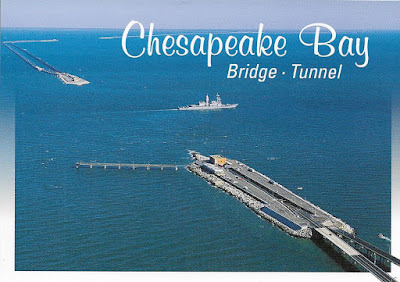 The Bridge-Tunnel connects the Eastern Shore and the Virginia mainland, a route previously only connected by ferry. Wow! Driving this bridge is on my TO-DO list now. Gulp.